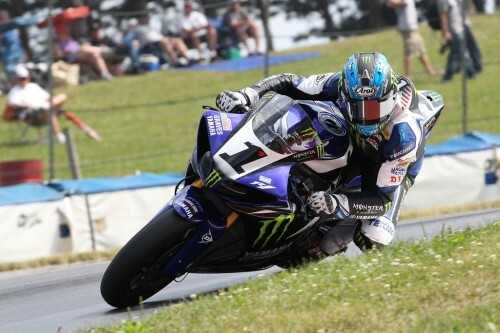 Today, Yamaha Motor Corporation, USA, has announced its U.S. road racing teams to compete in the 2013 GEICO Motorcycle AMA Pro Racing season, which kicks off in March at the famed Daytona International Speedway. 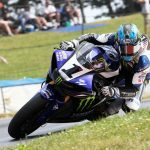 In the AMA Pro National Guard Superbike division, Yamaha is fielding “Team Josh,” as three-time and defending class champion, Josh Hayes once again teams up with Josh Herrin, the 2012 AMA Rookie of the Year. 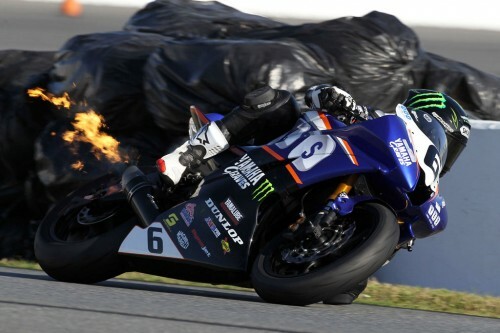 Despite setting single-season records for the most SuperBike wins, the most consecutive SuperBike wins, and the most SuperBike poles, the elder Josh hasn’t lost any of his competitive fire. 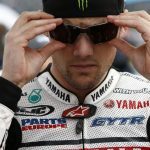 During the off-season, Josh signed a two-year contract to stay with Monster Energy/Graves/Yamaha because he loves the team and he still feels that he’s got a lot of unfinished business to attend to. 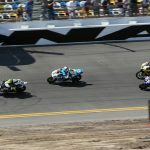 The Daytona SportBike team continues into 2013 with Yamaha Extended Service as its title sponsor for the third consecutive year, once again fielding riders Cameron Beaubier and Garrett Gerloff. Cameron Beaubier had a memorable 2012 season in AMA Pro GoPro Daytona SportBike as he faced more than his fair share of challenges — in the form of untimely injuries — yet he still managed to put together a remarkable season, in which he won two poles and seven races, including his breakthrough double win at Barber Motorsports Park on the same weekend that he earned his first career DSB pole. Due to an accident at the opening round of the series last year that fractured his femur, Gerloff was forced to miss most of last season. 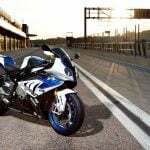 Though, when he returned to racing at the final two rounds of 2012, he knocked the rust off very quickly, and won the final AMA Pro Motorcycle-Superstore.com SuperSport race of the year at NOLA Motorsports Park. 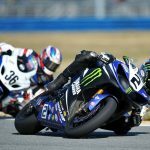 In addition, Monster Energy has renewed its commitment as title sponsor of the Superbike team (and associate sponsor of the Daytona Sportbike team) for an additional two years.